In continuation of previous years’ successful workshops on leadership, diversity and inclusion, it was time to look at the question of how is organizational diversity studied. How is different organizations/organizational differences studied? On may 2-3, 2017 the Public-Private's cluster on Diversity and Difference hosted a methodological workshop aiming to shed light on exactly these questions. 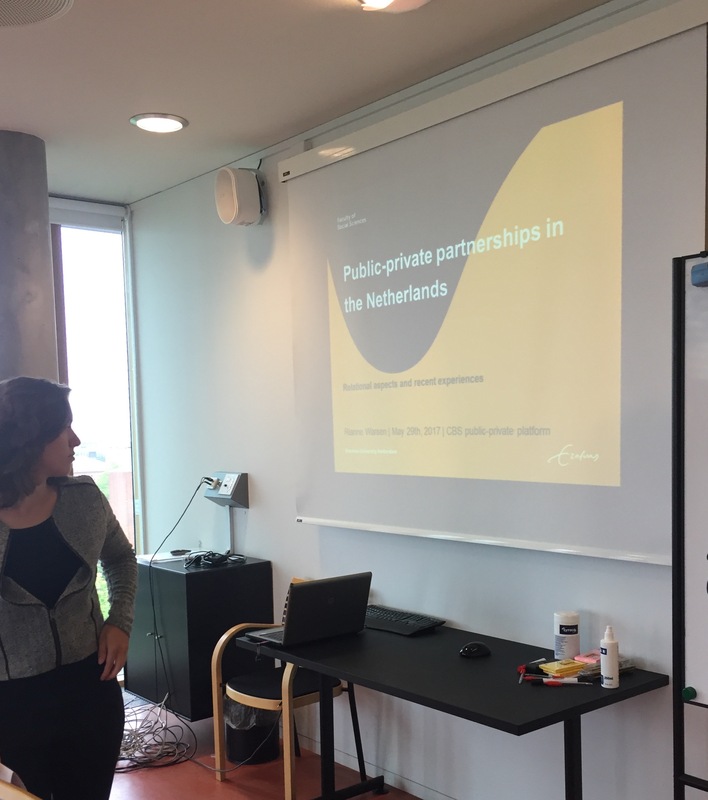 Currently, the CBS Public-Private and its cluster on Mixed Modes of Infstructure Governance have the pleasure of hosting a seminar on a widely discussed matter in Denmark, namely public-private partnership. Here, the Visting PhD Rianne Warsen, Erasmus University Rotterdam, is presenting her take on PPP with focus on the Netherlands. As denmark is often compared to the Netherlands, this is a unique opportunity to get updated on what is going on in the Netherlands. Rianne Warsen is elaborating on how PPPs have been realized in the Netherlands as well as how the relationships established along these PPP have affected the research. She is touching upon questions such as: what do we mean by good relationships and what relational aspects are important in explaining ‘good relationships? These questions are answered in order to understand how Dutch PPP practitioner, including Rianne Warsen, understand the development and affection of PPP.